When the storm-damaged balloon crashes, the men are marooned on a desert island. While awaiting rescue, the soldiers must work together to stay alive by making use of their survival skills and taking advantage of the vast resources on the island. Eventually, the men make the island into a home away from home, naming it Lincoln Island, after President Lincoln. All is well until the group discovers a box of guns and ammunition that shouldn't be there. They begin to suspect the mysterious island may have its own secrets. Can the men survive long enough to be rescued off the island? so dosappointed tha this classic is spoilt by poor pronunciations and sad characterisations. would be better tp do straight reading than poorly represent the characters. 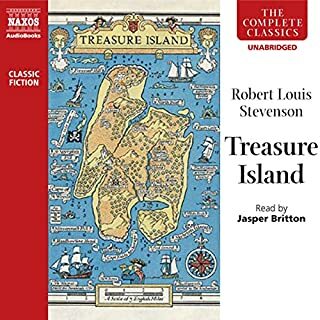 The Mysterious Island is the book that got me hooked on scientific adventures long ago. I read this as a kid and decided to reread it again as an adult. There are several aspects of this story that make it a must-read for children and adults alike. 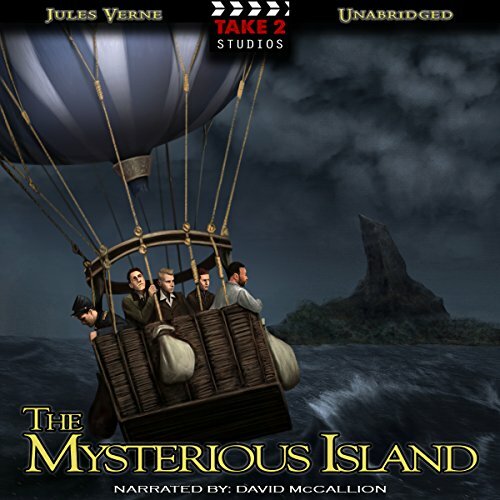 The Mysterious Island is a fantastic sequel to 20,000 Leagues Under the Sea, following the story of four Confederate POW prisoners who escape and become castaways when they crash land on an island. 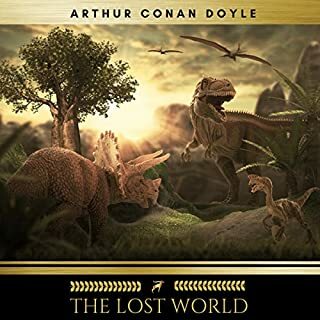 It tells of their quest for survival on the mysterious island and how they make use of science to create something out of practically nothing. In spite of its age, this book won’t fail to keep you on the edge of your seat and is one of Verne’s best works. The reader, David McCallion, did a wonderful job in reading this book. I truly enjoyed his accent and character differentiations. This is the perfect book for those who like adventure and intrigue, along with a good dose of science fiction. My all time favorite book, perfectly read. This was a fantastic listen, while on the night crew, cleaning messy wineries. I highly recommend it. 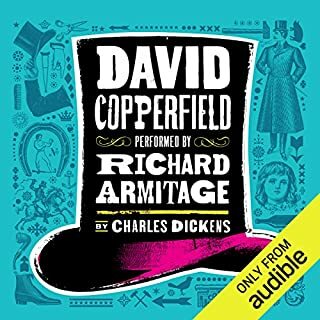 A legendary book becomes an epic audiobook! Verne is my favorite author, but The Mysterious Island has eluded me for forty years. The fact that the author interweaves exhausting details of the flora and fauna of the island into nearly every page has made it impossible for me to not lose focus the many times I've attempted to tackle it. 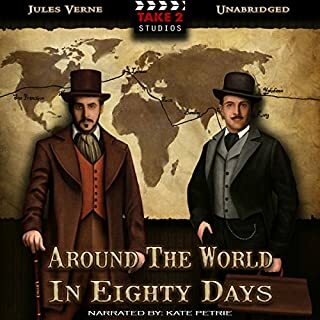 This audio book with it's 19 hours and 8 minutes of narration was listened to on and off over the span of two weeks, including a seven hour road trip and a ten hour working in my basement weekend. 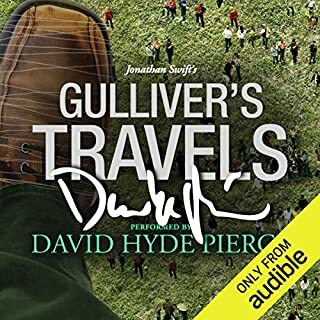 If it weren't for this excellent audio book, I might never have read this incredible book. Anything Vernian excites me. The story introduced me to Verne's 1870s world view, his politics, his religious convictions, and his fluid writing style. What does David McCallion bring to the story that you wouldn’t experience if you just read the book? 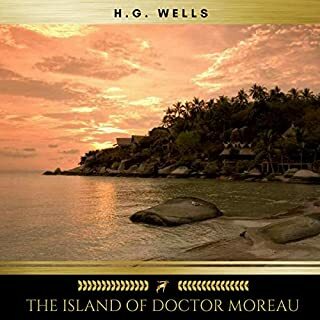 The narrator brilliantly added unique characterizations to each of the castaways and never lost his ability to keep the story going. He was clearly well-prepared to narrate and it shows in his clear voice. In general, the book made me long for quality classic literature. Clearly, the most exciting moment for me was when Captain Nemo makes himself known to the castaways. The character of Captain Nemo is one I wish Verne could have devote more stories to. Do not let the length of this audio book discourage you from jumping in. I consider the completing of it a conquest but now I want more conquests. 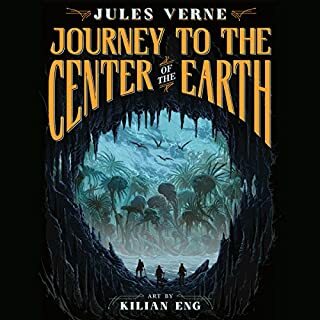 Love Jules Verne, but not my favorite. 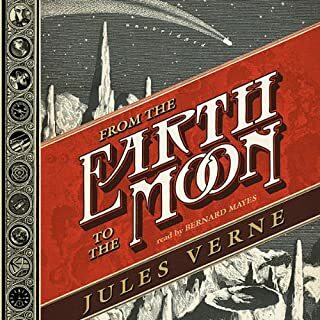 This book is full of the fanciful and scientific details that Verne favored but is dense and plodding. I love this book. I have read it and thoroughly enjoyed it. I did not enjoy this reading. There were parts of the original that were left out completely, which is frustrating when you get an "unabridged" book. But, mostly I did not care for the reading. Perhaps it's more my fault, for having lived the book and imagine the voices a certain way, but I felt the reader really failed to capture the correct voice for each character. I had a hard time distinguishing between Cyrus Harding and Pencroft! Also, Herbert sounded like he was always highly excitied. Everything he said was said with a huge exclamation point!! In fairness, I thought Top was rendered correctly. The story itself is exhausting, it drones on and on with excessive detail. The book spends more time on lists and explanations than it does developing characters and the plot. Between the exhausting style and a bland narration it is too much. 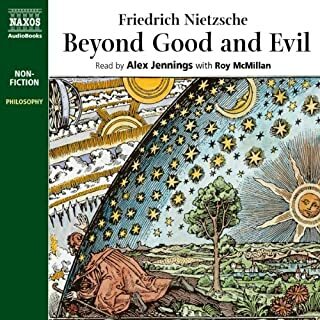 Out of the current 40 books in my audio library this is the only one that I’ve quit on. Best book since 20,000 Leagues Under the Sea. 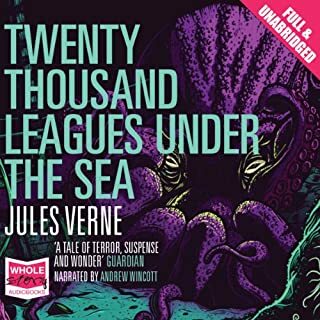 If you liked 20,000 Leagues Under the Sea, you will love this book. by far one of my favorite audiables. This book keeps you on suspense until the very end. The story moves very slow making it difficult to keep interested. I could not bring myself to continue. Too bad I cannot return it. A really refreshing read. Nothing complex and rather the literary equivalent of watching a black and white movie. 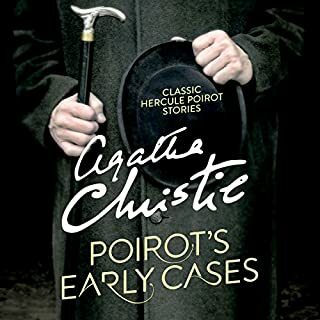 The story was interesting and had plenty of small hooks to maintain your interest. Though a little dated in various ways, the characters were interesting. I found it 'amusing' that a beautiful bird was being described one moment and then next it was being shot. In fact they shot at almost every living creature even if they didn't seem to need food or had already shot enough to feed a large party. No wonder their peers wiped out the dodo. Though I read the book quite a few months ago, I remember the experience well. Jules Verne was a genius, of that there is no doubt. A man before his time. 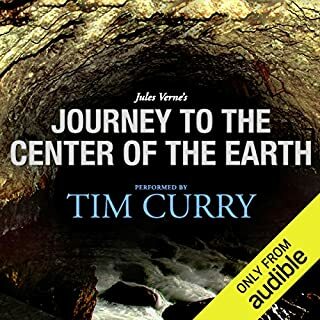 This audible book does his story credit, almost like watching a movie. The only reason I gave 'performance' a 4 star was because of the comedic portrayal of Pencroft. Well, I got a laugh at least. Altogether, a magnificent work.